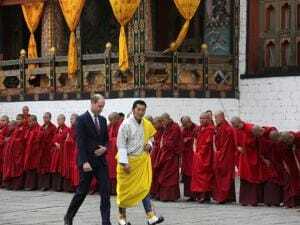 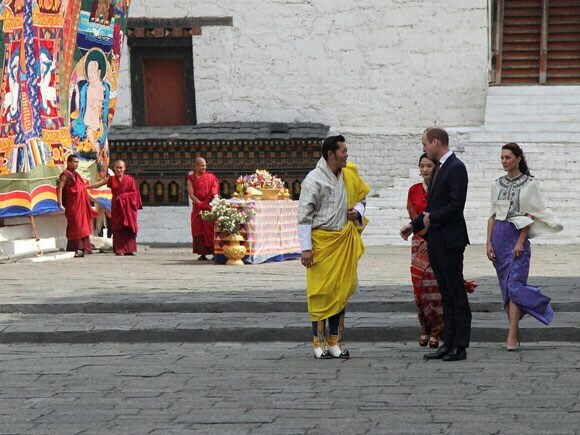 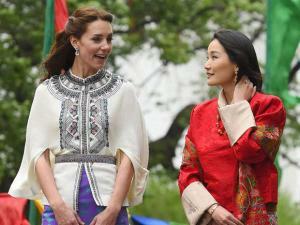 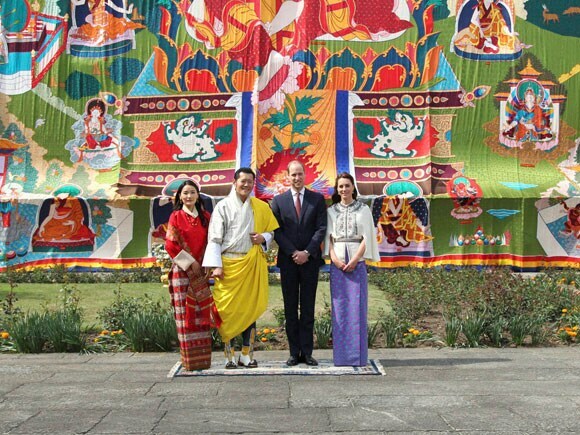 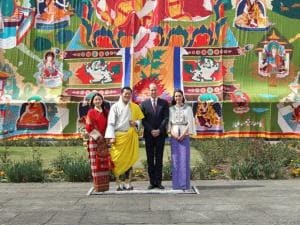 In this photo provided by Royal Kingdom of Bhutan, Bhutan's king Jigme Khesar Namgyel Wangchuk, in yellow, Bhutan's queen, Jetsun Pema, in red, Britain's Prince William, left top, and Kate, Duche. 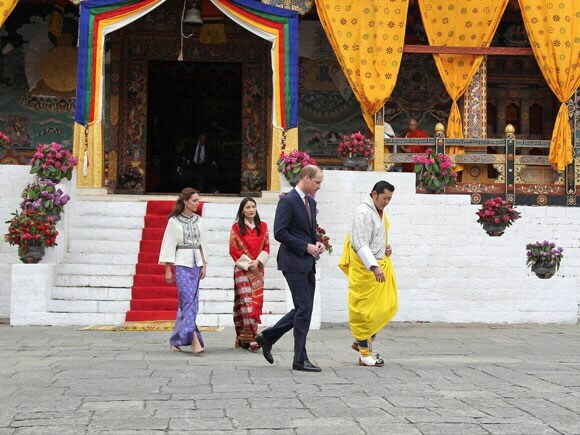 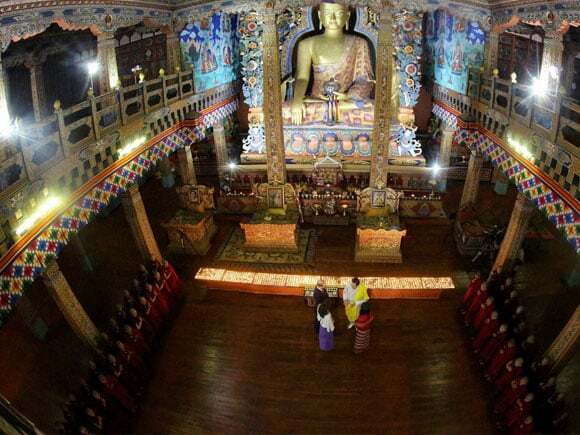 In this photo provided by Royal Kingdom of Bhutan, Kate, Duchess of Cambridge, is helped by Bhutan's King, Jigme Khesar Namgyel Wangchuk, as she lights up an oil lamp in Thimphu, Bhutan. 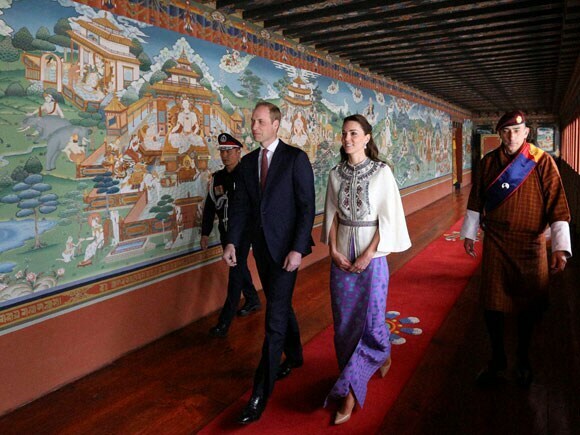 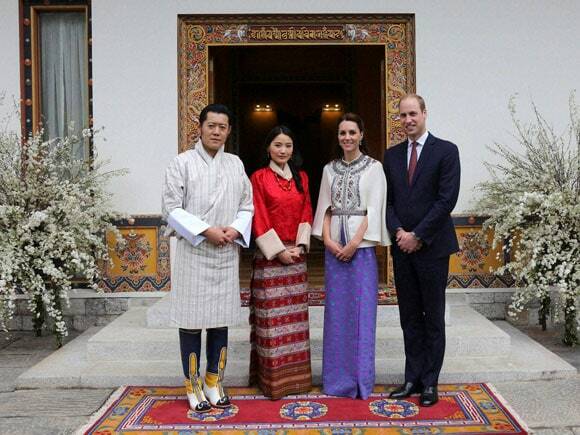 In this photo provided by Royal Kingdom_of Bhutan, from left to right, Kate, Duchess of Cambridge, Bhutan's queen, Jetsun Pema, Britain's Prince William and Bhutan's king Jigme Khesar Namgyel Wang. Bhutan's King Jigme Khesar Namgyel Wangchuk, Bhutan's Queen, Jetsun Pema, Kate, Duchess of Cambridge and Britain's Prince William pose for a photograph in Thimphu, Bhutan. 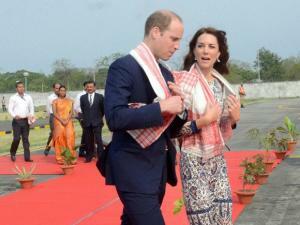 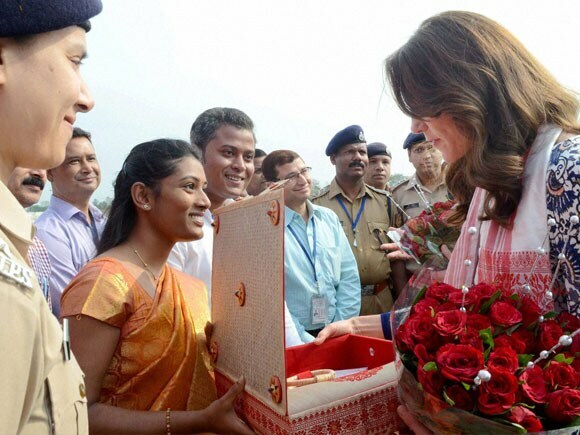 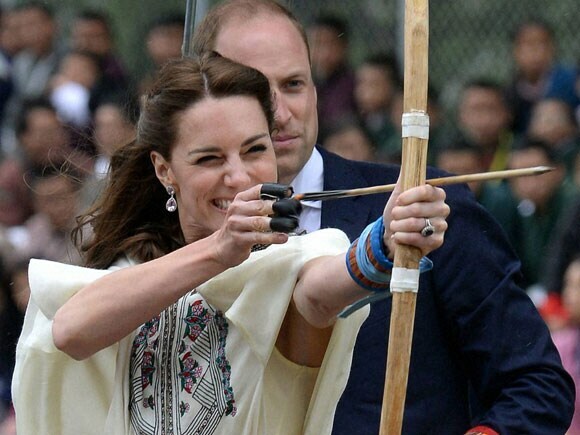 Catherine (Kate), Duchess of Cambridge being presented with traditional crafts of Assam before she departed for Bhutan from Tezpur Airport. 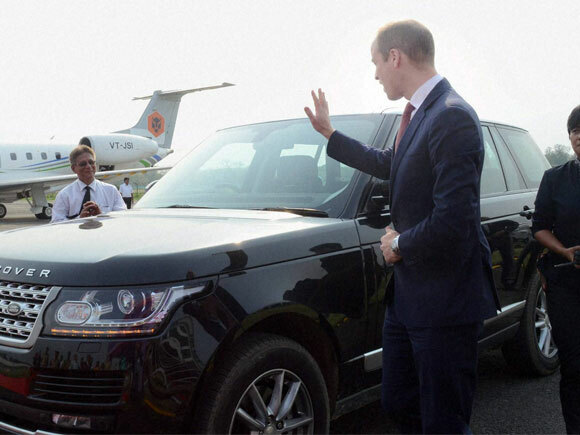 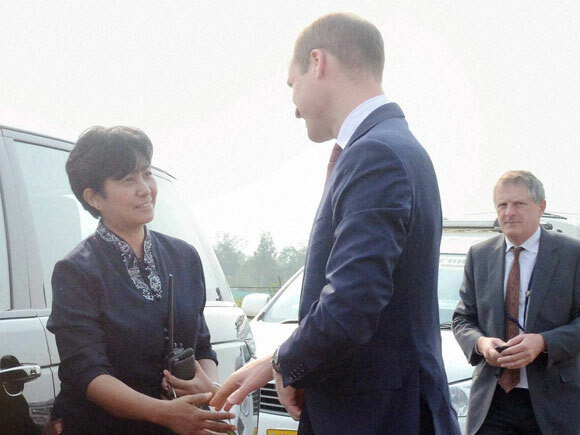 Prince William, Duke of Cambridge bids good-bye to the Security Incharge of the Royal Couple for Assam trip, Gitanjali Doley before departing for Bhutan from Tezpur Airport.